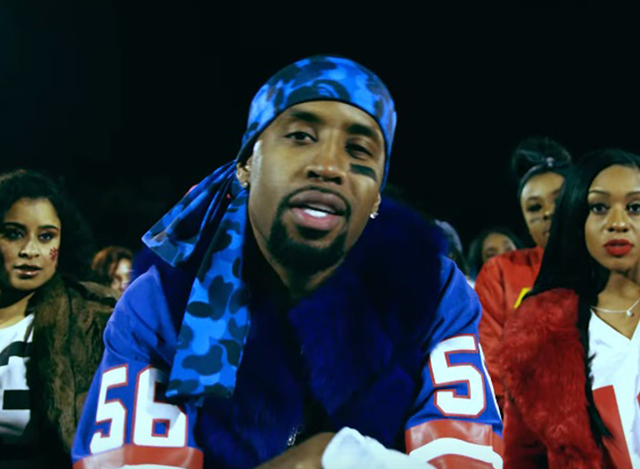 Safaree’s “NFL” is a hard-hitting track in the vein of mid-oughts NYC rappers. Hints of Cam’ron and Jim Jones can be picked up here, but Safaree’s flow during NFL is all his own. The backing beat is straight-forward and to the point; a bit of strings and a set of percussive noises are coupled with booming bass to make this a track that will bury its bars deep into the minds of listeners. The hook is catchy and is repeated to good effect; the grittiness of Safaree during this single imbues the resulting effort with a legit street sound. We’d love to hear more from this rapper in the months and the years to come.